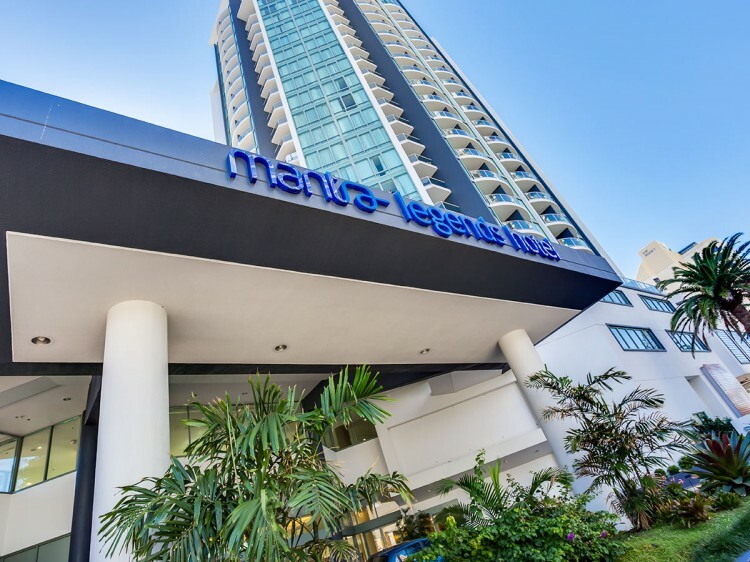 Offering premium accommodation in the heart of Surfers Paradise, Mantra Legends Hotel provides the ideal location for a family holiday, short break or business trip. 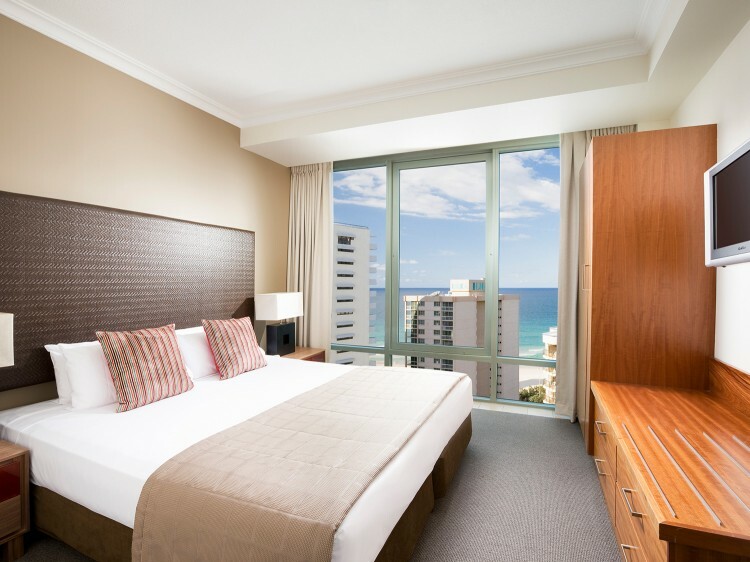 Just a short stroll to the beach, shopping and dining precinct of Cavill Avenue, the hotel boasts 403 well appointed guest rooms and suites, featuring ocean or hinterland views from your private balcony. 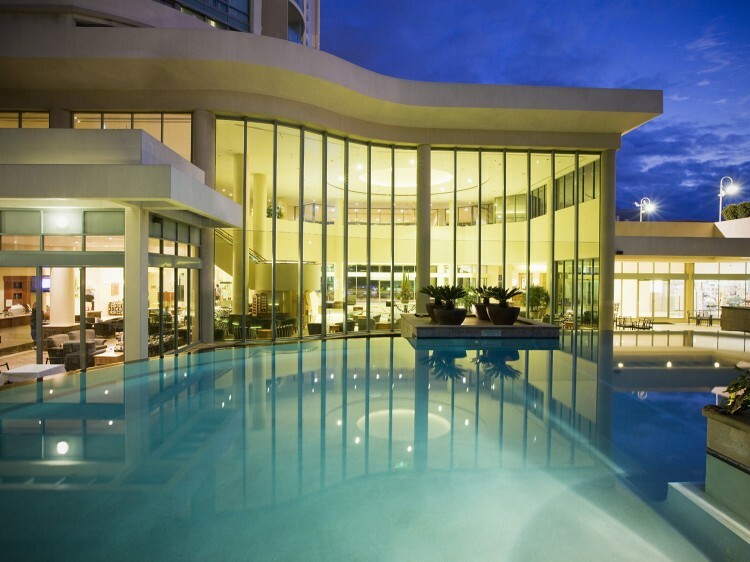 Accommodation options at Mantra Legends Hotel range from fully air conditioned hotel rooms, studios and spa suites, with all studios and suites featuring kitchenette facilities. Offering stylish décor and a full range of services, all rooms are designed to enhance your holiday and maximise your enjoyment. 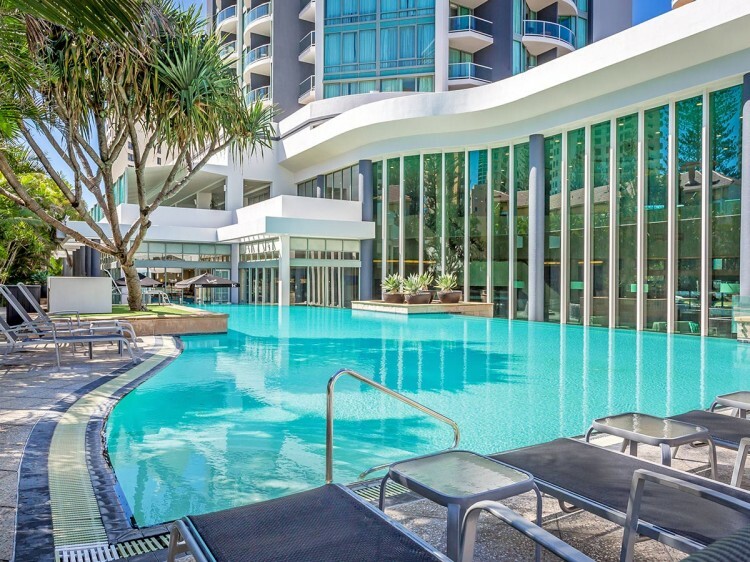 Mantra Legends Hotel’s extensive range of facilities includes Fables Restaurant and Tales Bar, outdoor pool, gymnasium, steam room, Swedish-style sauna and conference facilities for up to 400 delegates, combined with its central Surfers Paradise location provides the ideal base to explore the Gold Coast and surrounding areas. Mantra Legends has a No Party Policy which is strictly enforced. Limited undercover parking is available for one car only per room at the cost of $20 per day payable direct to the hotel (subject to availability).